The APAO is the voice of the asphalt industry in Oregon. Membership helps to ensure that the concerns and viewpoints of the industry are represented by a strong unified voice. The APAO is recognized locally and nationally as a leader in training, education, and asphalt technology. The APAO, in partnership with the Oregon Department of Transportation (ODOT), operates the Roadway Materials Technician Training and Certification Center. The APAO facility includes classrooms and fully functional laboratories for training and certification. The curriculum includes courses in asphalt technology, aggregates, embankment and density. Classes are also delivered around the state in Hot Mix Asphalt Construction, Asphalt Plant Operations, and Design & Rehabilitation. Members receive discounted rates to all APAO classes. For more information see our Training & Certification section. The APAO staff includes professional engineers with expertise in all aspects of asphalt technology. Members routinely receive expert advice on mix designs, specifications, performance and construction issues. We also provide technical assistance to local engineers and architects to help ensure high quality designs and specifications are used on Oregon projects. The APAO has an active marketing committee utilizing the materials and strategies of the Asphalt Pavement Alliance. We attend local agency conferences, make numerous presentations at workshops and conferences, and sponsor the Annual Oregon Asphalt Conference. Our marketing efforts are focused on helping bring new technology to the state and to ensure asphalt is designed, specified and constructed to the highest quality standards. APAO members are kept abreast of the latest developments through a variety of correspondence and membership meetings. The APAO sponsors three major membership events each year with programs aimed at helping members stay current on local and national developments. Our Centerline publication and this web site also serve as excellent tools to share information with members and customers alike. 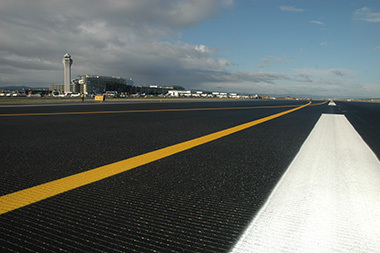 APAO works closely with the National Asphalt Pavement Association (NAPA) and the Asphalt Institute (AI) to stay current on national level developments.